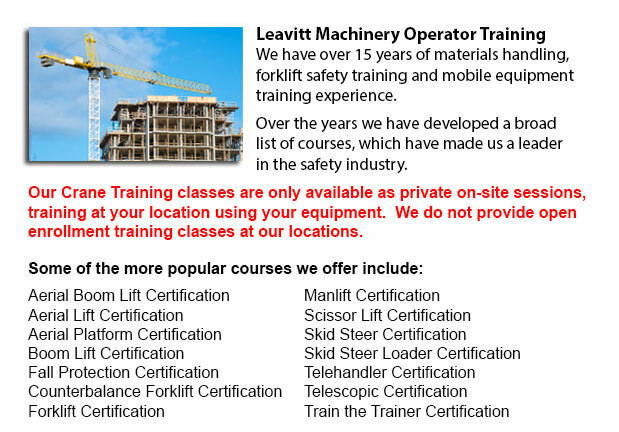 Crane Training School Seattle - We provide industry relevant programs in our crane training school. The course will provide our trainees with learning results matching the existing industry demands. Our small class sizes combine hands-on experience and theory. Our industry-experienced, qualified instructors provide real world expertise to assist trainees to gain valuable knowledge and skills in their chosen field. The feature elements included in the crane training school consists of information concerning power-line safety, regulations, inspection, and site hazards involved in crane operation. People training will gain knowledge about rigging, hardware applications and load charts. Direct feedback and quizzes during the course would help trainees solidify their knowledge. Theory course topics: Safety fundamentals for crane operators; introduction to crane certification process; rigging knowledge; crane operation knowledge; load chart knowledge; crane rigging charts; communications knowledge; crane pre-trip inspections & set-up, and crane service and maintenance. The crane training school comprises practical training including hands-on learning. This component teaches trainees how to identify crane terminology and components. Trainees would have the opportunity to practice skills needed for crane signaling, operating and signaling. Practical course topics: Identify crane components and functions; Learn crane terminology; identify wire ropes and rigging; use remote control; pre-use check on crane; identify documents and regulations for wire rope and rigging; utilize hand signals and radio; perform proper lifting and lowering of loads and perform rigging techniques.